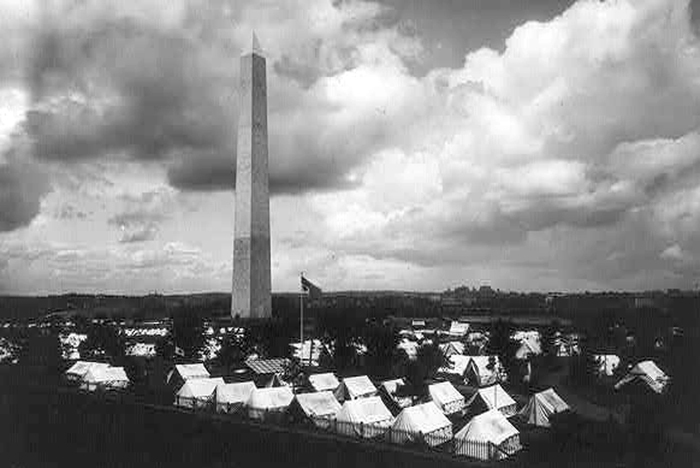 “National Drill and Encampment,” Histories of the National Mall, accessed April 22, 2019, http://mallhistory.org/items/show/192. In May 1887, militia groups from nineteen states and the District of Columbia participated in a drill competition on the National Mall. They set up their tents on the grounds of the Washington Monument and participated in marching, drilling, and shooting competitions on the Ellipse. Militia drill competitions were popular in the 1880s, but this was the first time black companies competed against white. Two white companies from Mississippi and Tennessee refused to march in a parade when they were placed behind a black company. Hospital tents near the encampment were provided by the Red Cross and overseen by Clara Barton.